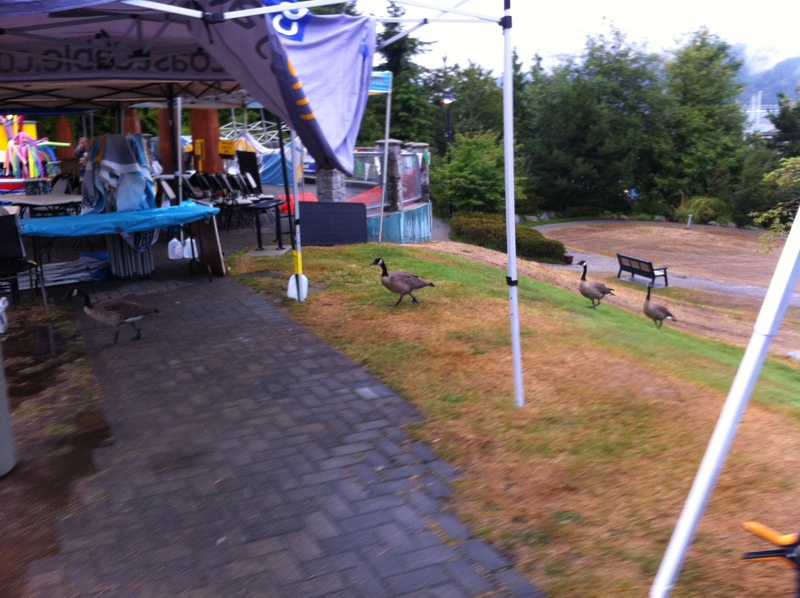 First visitors to our booth: a flock of geese! 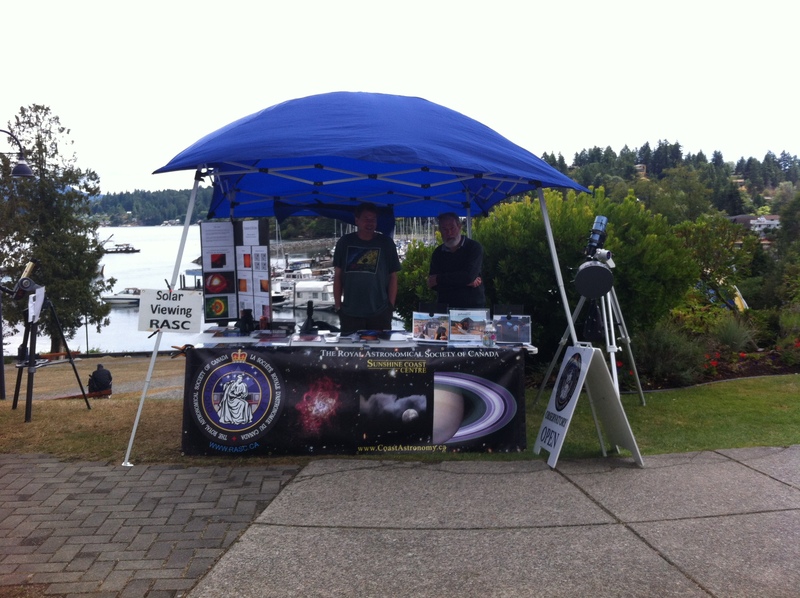 Mike, Scott, Neil, and Charles manned the booth for the 2015 Gibsons Sea Cavalcade event. As last year we set up the booth by Winegarden Park. Unlike last year, the day started with rain. 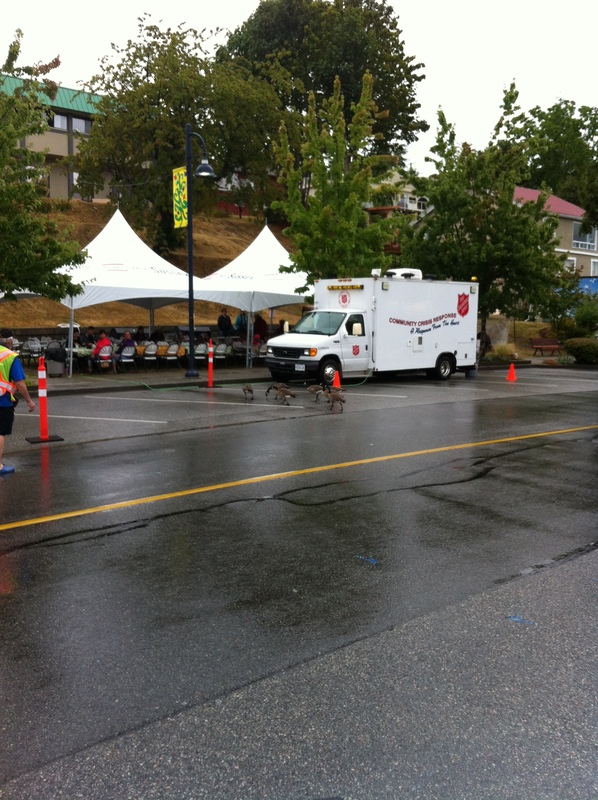 Our first visitors to the booth were a flock of geese who then waddled across to the Sally Ann pancake breakfast. However the weather improved and by the afternoon the solar scopes were in use. By the end of the day we’d had 239 visitors at our booth. 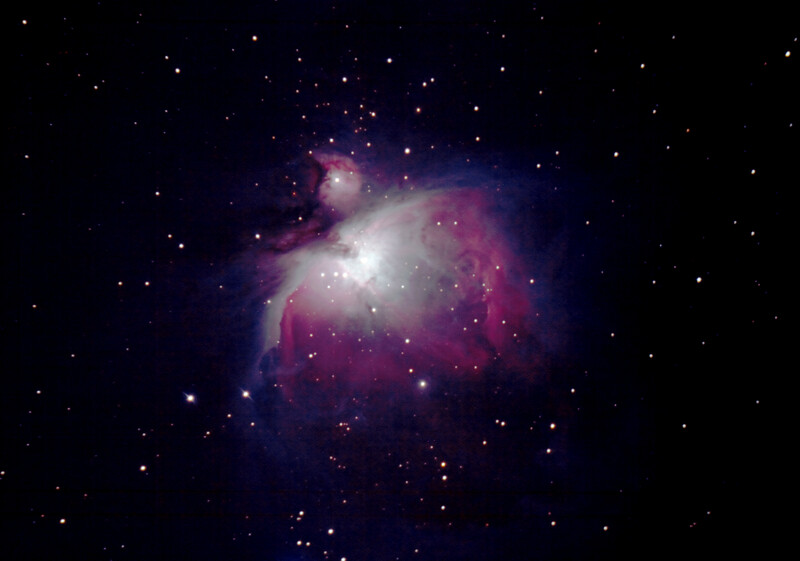 The SCC has created the William Iden Award for Astrophotography. 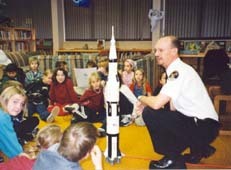 Bill, one of the members of our original club who passed on a few years ago, was known for his astrophotography skills. 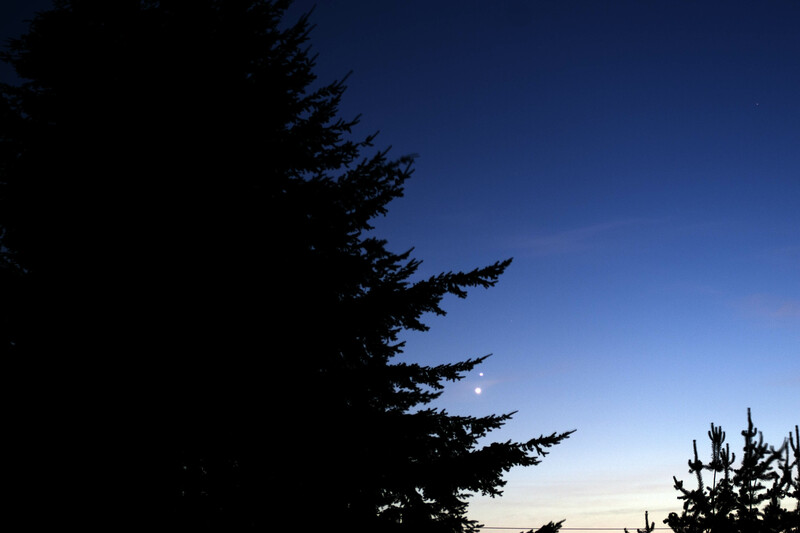 We’d all like to see YOUR astrophotography skills, so we’re running an astrophotography contest. Photos should be submitted to the SCC President no later than 13 November, 2015. The award will be presented to the winner at our Christmas meeting on 11 December 2015. In future we’ll be looking for photos taken during the previous year, but for this inaugural contest we’ll accept any photos taken by the applicants. Please give us some details of how the photo was taken. On the 30th. 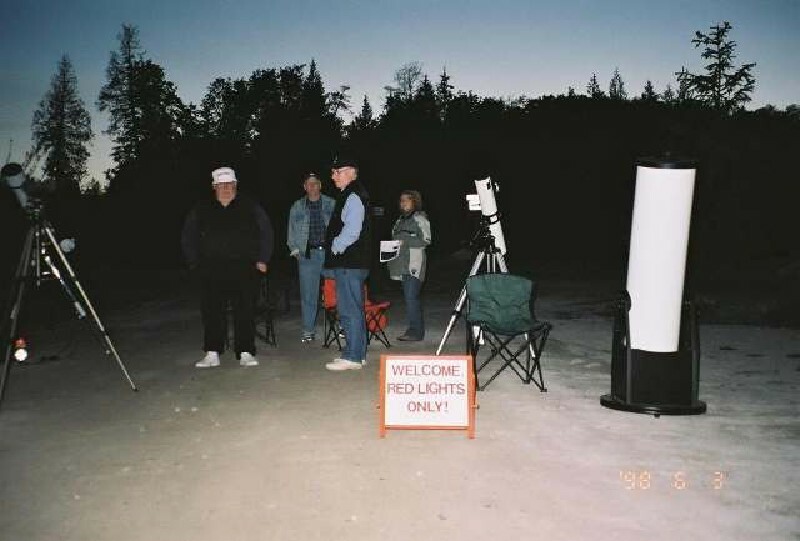 June 2004 the 16 members who formed the Sunshine Coast Astronomy Club paid $25.00 for a years membership. 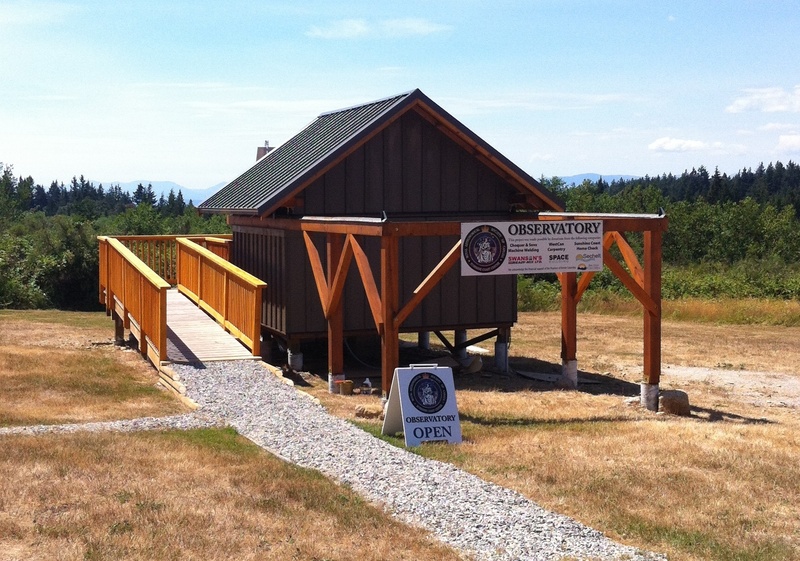 Four years later we joined the RASC as the Sunshine Coast Centre. This month we reached a total of 61 members, which is a huge membership for a community of our size compared to other RASC Centres across Canada. We have come a long way. Of that original 16 members, we have 8 still with us. 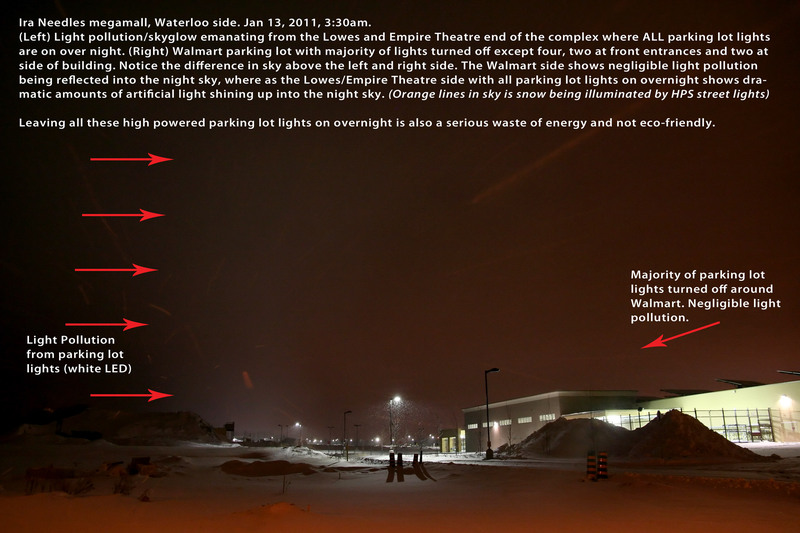 Interesting how the air pollution generated by the local fire serves as “barometer” for light pollution. 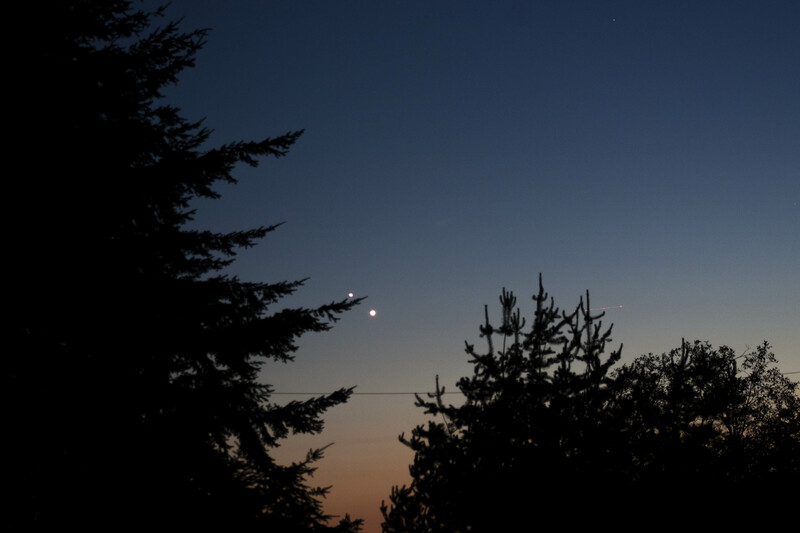 When Dan, Neil and I were up at the observatory on Saturday, 4 July, we had a reasonable line of sight on the fire northwest of Sechelt at Carlson Point. 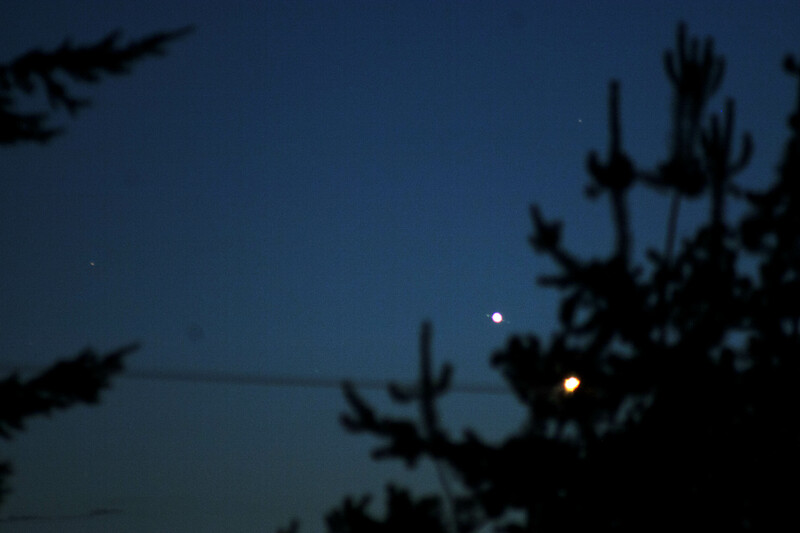 One thing noticed that night was the orange glow of firelight reflected off smoke over the fire. So on Monday night I stepped outside at about 11pm and the smoke was like a fog permeating the neighbourhood here on upper-Field Rd. Out of curiosity I wandered a short distance up Field Rd to see if the orange haze that resembled what was observed the night before, from the observatory site looking in the vicinity of the wildfire, was produced by the fire getting closer. 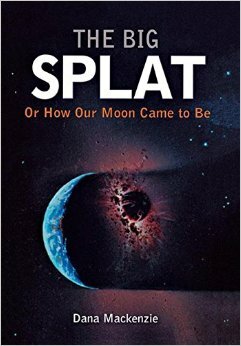 It immediately became apparent that the orange glow was generated primarily by sodium lighting in the Field Rd. industrial area, and by lighting at the regional district’s complex. The scattering of unshielded, or poorly shielded lighting was evident according to the “smoke detector”. With the smoke making the illumination directed upward – where it’s not needed, much more plain to see. 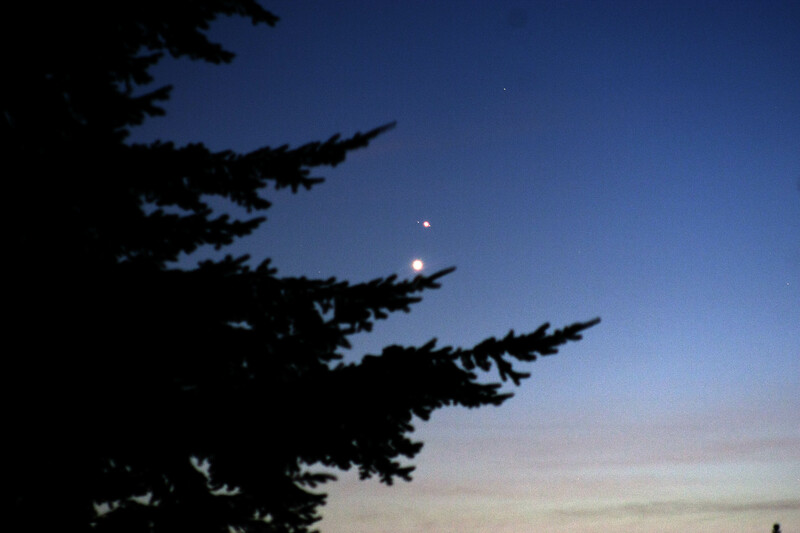 Our member Bryan Kelso took four photos of Jupiter with his Canon 30D camera on the nights of June 28th & 29th.